Nanmakal Koyyunna Nattil malayalam movie directed by Shiju Balagopalan has already become the talk due to its innovative approach. To be produced by Ariyamax Broadcast, the movie will be supported by Kannur Talkies' and 'Vengilodu Udayakala Samithi'. The actors for the movie are being selected from the village. 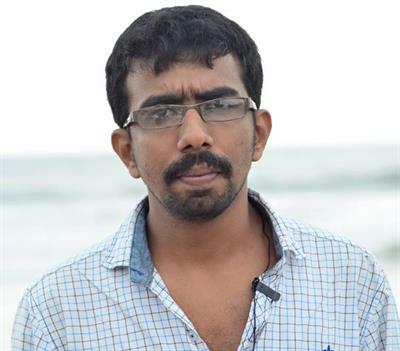 With locations set at Vengilodu village itself, the shooting will be finished within 3 months. It is much interestingly to see the arrival of young film makers who land with dreams to create their own space in the industry. After a glorious year, the coming too will witness the presence of youngsters in front and behind the camera. Shiju Balagopalan had only been known among the Vengilodu villagers is taking a step forward venturing into the field of entertainment. With the support and prayers of a whole village Shiju is helming a feature film. Titled 'Nanmakal Koyyunna Nattil', the movie produced by Ariyamax Broadcast is well supported by Kannur Talkies' and 'Vengilodu Udayakala Samithi'. The actors for the movie are being selected from the village. With locations set at Vengilodu village itself, the shooting will be finished within 3 months. The Kannur Talkies is a youth venture while Vengilodu Udayakala Samithi having a heritage of 58 years of drama will be purely supporting the project along with the people of this Kannur village. The movie was set without pooja and switch own function. A meeting was held recently which was attended by invited guests. During the function, director Madhu Kaithapram shared his excitement for 'Nanmakal Koyyunna Nattil' being the first movie to happen with people's effort. Director Shiju Balagopalan is well supported by 11 youngsters. The director is on cloud nine after the concept of 'People's Movie' became real. Vengilodu Udayakala Samithi which had done 45 dramas provides all the support for Shiju and his team. With the shooting of the movie progressing, the villagers are thrilled to be a part of one of the rarest undertaking, the 'People's Movie'. With innovative things happening in malayalam film industry, 'Nanmakal Koyyunna Nattil' will truly give motivation for new talents who wish to make name in the field. Novel ideas would be taken by heart by movie enthusiasts while the same can be expected to this movie too.